Investors worried about what the tax future might hold for them are being urged to share their thoughts with the government’s Tax Working Group. The working group, which is chaired by Sir Michael Cullen, is encouraging people to make a submission about the future of tax in New Zealand before the cut-off date at the end of April. 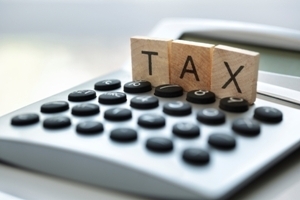 Speculation about what might result from the Tax Working Group has been raging in recent months – with much focus on the prospect of a capital gains tax. Cullen says it’s clear that a capital gains tax and land taxes will be among the most contentious issues. He also says the Working Group is very much at the discussion and consideration phase. Tax affects everyone so it is heartening to hear New Zealanders have a lot to say about these issues but it’s time to turn that robust debate into actual submissions, Cullen adds. “Anyone who wants to make a difference and have their views heard should go to the website and take part in the process. The working group has released a background paper and is receiving submissions from the public up till April 30. It is then due to produce an interim report in September and a final report in February 2019. Any taxes changes proposed by the working group will not be implemented until the 2021 tax year, which will give voters the chance to have their say on them in the 2020 election.